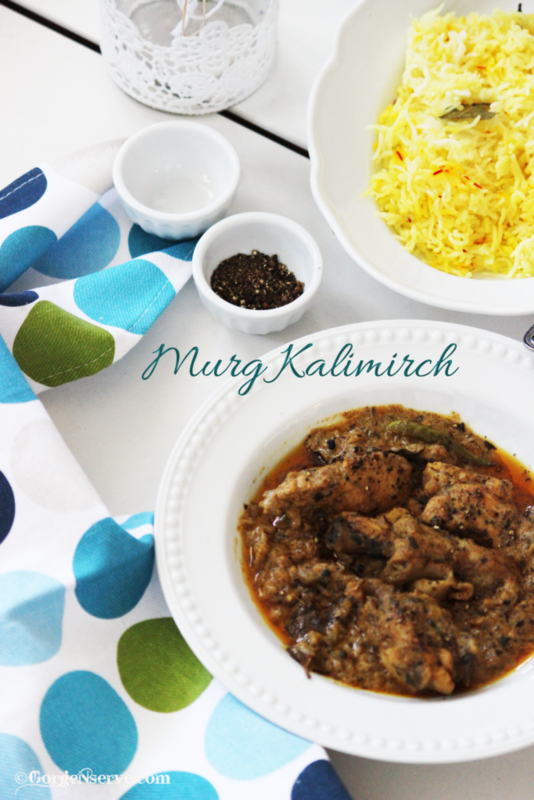 My ” Ka ” cannot get bored of eating Chicken , so every time he buys chicken he make sure that I cook it in a different way , but his personal favorites are ” Dahi Murg” and “Methi Murg ” . 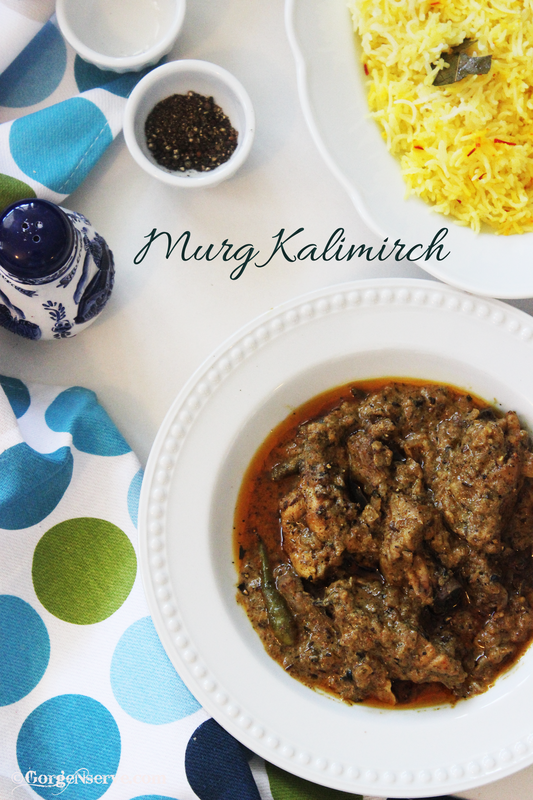 So this time I thought of making ” Murg Kalimirch ” as it’s been a long time that I cooked it.It’s a very simple yet unique recipe ,Chicken pieces cooked and roasted with pepper and other aromatic Indian spices. “You don’t have to cook fancy or complicated masterpieces – just good food from fresh ingredients.” ― Julia Child. 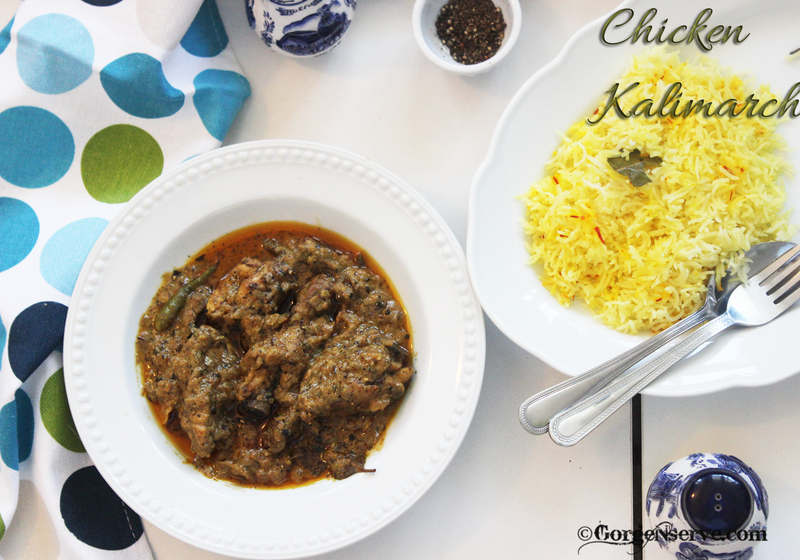 This recipe is simple and hearty and is cooked with easily available ingredients at home . Its a versatile dish that you can serve with rice, pulao or any kind of Indian bread like naan, parathas or plain rotis. After 30 min in a heavy bottom pan heat 3 tbsp oil , add marinated chicken pieces, fry on high heat until they are nicely seared and light golden brown. Remove the fried chicken from pan and keep aside. In the same handi, add 3 tbsp oil . Add shazeera/cumin seeds , bay leaf, green cardamom, and cloves, saute for few seconds. Now add chopped onions and fry until soft and translucent. Add ginger and garlic paste, sautè for few minutes. Now add coriander powder, green chilliy, coarsely crushed peppercorn, salt and fried chicken, mix well. Add whisked yoghurt and stir until blended well aand mixed. Cover and cook until chicken is just tender. Adjust the consistency of the gravy with adding little water if required. Add kasuri methi and and garammasala and cook for another minute or two. 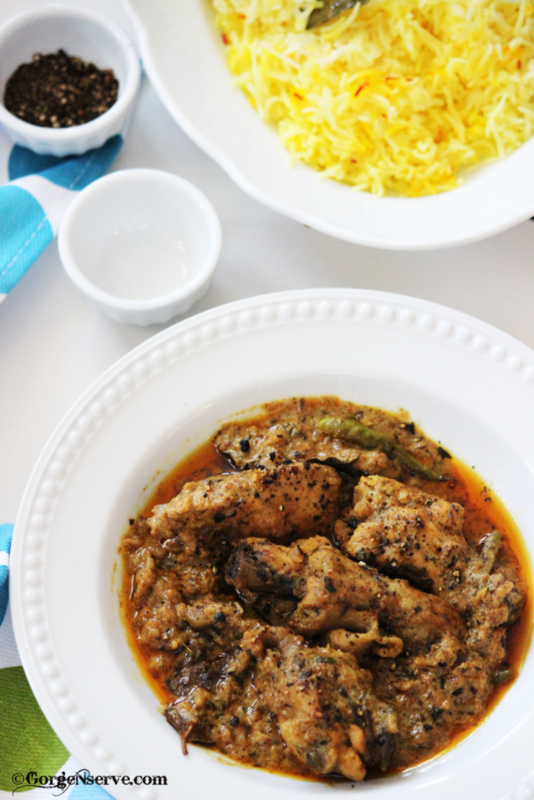 Serve hot with paratha or phulkas or pulao of your choice.